In reviewing the past G.O One Shots where I have posted .gifs, I noticed that I have given the short teaser video for G.O’s second digital single Play That Song lots and lots of .gif love. And for good reason. The mini MV is 1:36 of pure vocal and visual bliss. So I decided that today I would simply add another .gif from the PTS video treasure chest because it is a gift that keeps giving. Categories: G.O Military Discharge, MBLAQ Musings, The G.O Files | Tags: Countdown To Discharge, G.O, G.O images, G.O One Shot, G.O Play That Song, G.O Second Digital Single, G.O Solo Work, 정병희, 지오, Jung Byung Hee, Jung Byung Hee images, Korean entertainment, MBLAQ G.O, MBLAQ G.O images, MBLAQ G.O One Shot, MBLAQ G.O Play That Song, MBLAQ G.O Second Digital Single, MBLAQ G.O Solo Work | Permalink. Gwanghwamun Sonata’s Kang Hyun Woo was a role filled with angst and intensity, and the road to bring him to life on the musical stage demanding. Nevertheless, it was filled with a fair amount of levity for our talented main vocal in his first musical theater role. Perhaps having to share the role with bandmate Seung Ho made the process not only easier, but also fun. Getting to explore unchartered adventures always seem to be less daunting when you can navigate them with a trusted friend. 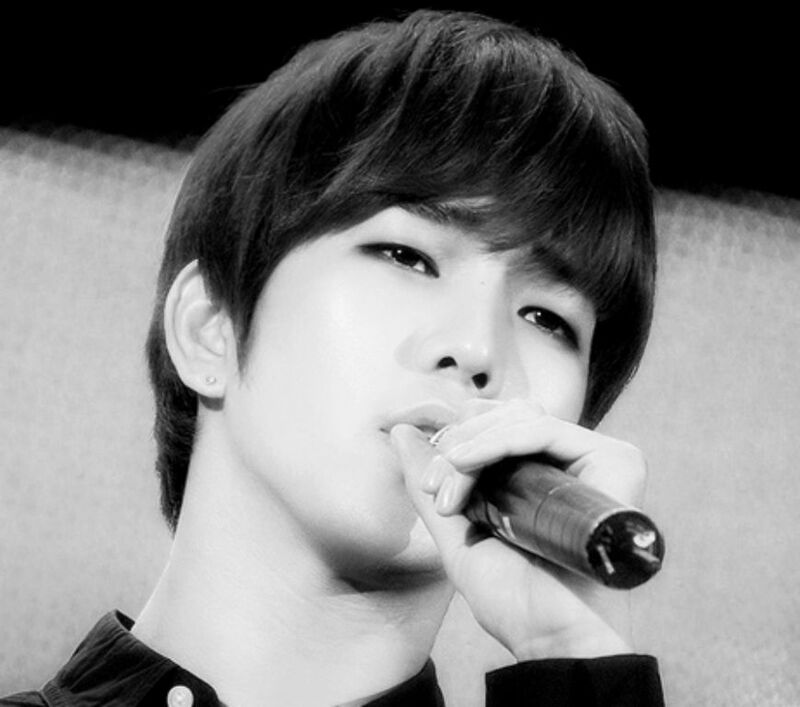 I have to say with confidence that by the end of 2012, MBLAQ’s 87-Line were perhaps more like brothers. And while we wait for our quiet leader to begin his military service, our gregarious main vocal has (officially) under 200 days remaining in his own. But I am not going to go crazy with excitement just yet. No, today I am just going to revisit the early days of Gwanghwamun Sonata when G.O met and began exploring the complex and magnetic Kang Hyun Woo. Categories: From The Korean Musical Stage, G.O Military Discharge, MBLAQ Musings, The G.O Files | Tags: G.O, G.O images, Gwanghwamun Sonata, Gwanghwamun Sonata Musical, 지오, Jung Byung Hee, Jung Byung Hee images, Korean Musical Theater, MBLAQ G.O, MBLAQ G.O images, MBLAQ G.O Solo Work, Musical Actor G.O | Permalink. I am not sure if you are aware, but Seoypyeonje is returning to the Korean musical theater stage next month. Directed again by Lee Gina, it returns with some familiar faces. Both Cha Ji Yeon and Lee Ja Ram each will return as Song Hwa, as will Seo Bum Seok in the role of Yoo Bong. However, there will be three new faces in the role of Dong Ho (Park Yeong Soo, Kim Jae Beom and Kang Pil Seok). As much as I love this wonderful musical and trust the direction of Lee Gina, I admit that I am still feeling a bit sad over the fact that is being revived without G.O. Then again, we all have to wonder if G.O would have even been cast again in the role (I think so); and if so, would he have accepted the offer to return? 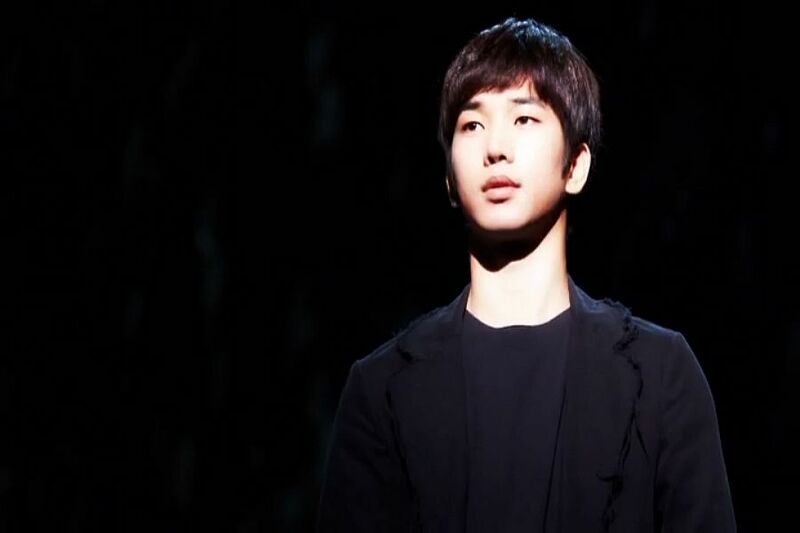 In any event, the news of the reprisal has made me drift back to G.O’s time on the Seopyeonje stage. So a little Dong Ho One Shot love on this 521st day of his service. Categories: From The Korean Musical Stage, G.O Military Discharge, MBLAQ Musings, The G.O Files | Tags: Cha Ji Yeon, G.O, G.O images, G.O One Shot, 지오, Jung Byung Hee, Jung Byung Hee images, Kang Pil Seok, Kim Jae Beom, Lee Gina, Lee Ja Ram, MBLAQ G.O, MBLAQ G.O images, MBLAQ G.O One Shot, MBLAQ G.O Solo Work, Musical Director Lee Gina, Park Yeong Soo, Seo Bum Seok, Seopyeonje, Seopyeonje Dong Ho, Seopyeonje The Musical, The Musical Seopyeonje | Permalink. I really thought that I would settle into a fan meet/fan sign fan cam for today’s Fan-Camming Friday moment. That was my plan any way. But whenever I come across a cam of G.O singing, the choice is automatically made for me! This happened today when I came across a cam of G.O performing his second digital single, Play That Song during the Seoul Sensation Tour in November 2013. Usually come Friday, I am cranked up for the weekend. Not today. No, today, I want to ease into Friday with grace and romance. Is there any better way to do that than with G.O’s velvety voice? Categories: G.O Military Discharge, MBLAQ Musings, The G.O Files | Tags: 2013 Sensation Tour Seoul, G.O, G.O images, G.O Live On Stage, G.O on the stage, G.O Play That Song, G.O Solo Stage, G.O Solo Work, 정병희, 지오, Jung Byung Hee, Jung Byung Hee images, Korean entertainment, MBLAQ G.O, MBLAQ G.O images, MBLAQ G.O in concert, MBLAQ G.O Live on Stage, MBLAQ G.O on the stage, MBLAQ G.O Play That Song, MBLAQ G.O Solo Stage, MBLAQ G.O Solo Work, MBLAQ G.O's Strong Physique, MBLAQ in Concert, MBLAQ Sensation Tour, MBLAQ Sensation Tour 2013, MBLAQ Sensation Tour Seoul | Permalink. 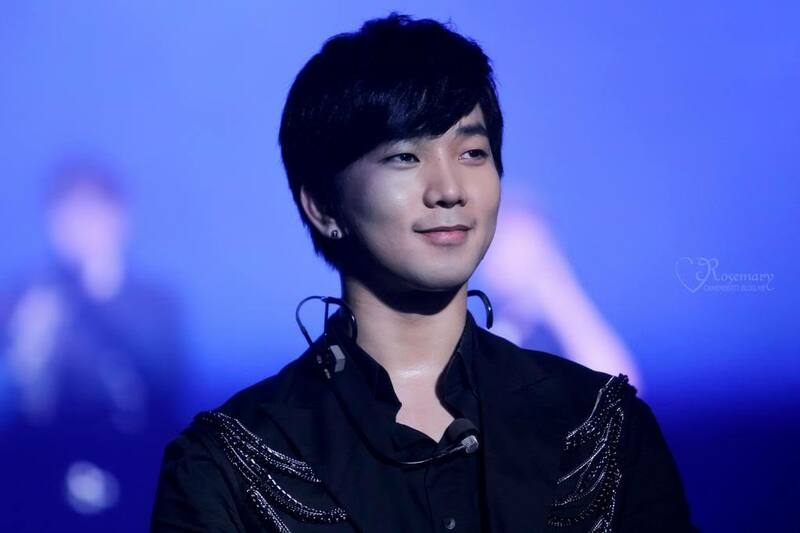 I admit that the closer we get to G.O’s discharge day, the more anxious I become over what he will do when he returns. My list for him is long <hehehe> as I would love to see him pursue many things. To me, G.O has an all encompassing talent that will allow him to explore many different artistic genres. At the foundation of it all is without question: music. With so many avenues of music that stretch beyond singing, G.O’s opportunities will be many. As he is no stranger to the OST, I hope that we will hear more of his work as both a vocalist and composer for many future OSTs. In the meantime, I would like to revisit a clip of his beautiful ballad from the Dr. Stranger OST, 내일이 안 올 것처럼 [Like Tomorrow Won’t Come] in a cappella form. A true Vocal Virtuosity moment. Categories: G.O Military Discharge, MBLAQ Musings, The G.O Files | Tags: Doctor Stranger OST Part 4, G.O, G.O images, G.O Solo Work, 지오, Jung Byung Hee, Jung Byung Hee images, K-drama OST, Korean Drama OST, Korean OST, MBLAQ G.O, MBLAQ G.O images, MBLAQ G.O Solo Work | Permalink. In keeping with the gentle flow from yesterday, my One Shot will ease right into that momentum with a .gif taken from the MV for G.O’s second digital single, Play That Song. Captivating and romantic, it is a wonderfully soothing way to help push us softly over the hump of the midweek and inch us closer to the weekend. 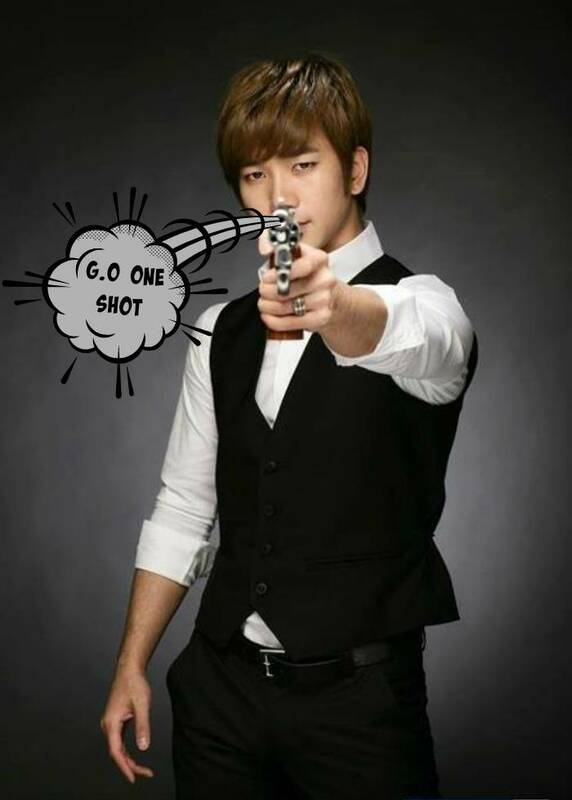 Categories: G.O Military Discharge, MBLAQ Musings, The G.O Files | Tags: G.O, G.O images, G.O One Shot, G.O Play That Song, G.O Second Digital Single, G.O Solo Work, 지오, Jung Byung Hee, Jung Byung Hee images, MBLAQ G.O, MBLAQ G.O images, MBLAQ G.O One Shot, MBLAQ G.O Play That Song, MBLAQ G.O Second Digital Single, MBLAQ G.O Solo Work | Permalink. I truly am of the firm belief that there is a time, season and reason for all things that happen in our lives. I still remember so clearly Lee Joon’s words during one of the Curtain Call shows back in November 2014 where he said that even brushing against someone’s shoulder is one’s karma. It may sound all granola breath and tree huggy, but I think that he (like me) believes in the power and force of the universe and how our lives play into and are affected by it, including the people we meet and come in contact with. This is perhaps why I completely missed falling heart first into the G.O vortex before he released either of his digital singles, and most notably, Play That Song. I wasn’t ready. But I came close, for it was by early December 2013 that I was on the road to G.O-ville. All things for a reason.^^ For our G.O One Shot today, I steal a moment from the mini Play That Song MV, in .gif form. Categories: G.O Military Discharge, MBLAQ Musings, The G.O Files | Tags: Blue-eyed Soul, G.O, G.O Digital Single, G.O images, G.O Play That Song, G.O Solo Work, G.O's Military Service, Jung Byung Hee, Jung Byung Hee images, Korean Neo Soul, Korean R&B, Korean R&B Artists, Main Vocal G.O, MBLAQ G.O, MBLAQ G.O images, MBLAQ G.O Play That Song, MBLAQ G.O Solo Work, MBLAQ Main Vocal G.O, Yiruma | Permalink.